A sky view of a local solar installation. Thinking of converting to solar? Be an educated consumer. The price to convert your home to solar energy can differ greatly from company to company. And like so many other industries and products, you get what you pay for. “We consider ourselves a company that provides fair pricing for every solar installation project. The best piece of advice we can give is not to go cheap,” said Tyler Uebelhoer, co-owner of Buffalo Solar Solutions along with his wife, Alicia. The Buffalo-based company has been doing business in Western New York since 2015 and has built an outstanding reputation for themselves. “Consumers of solar should look for companies that sell quality and value, not bottom-of-the-barrel pricing,” added Tyler. “You should be looking for a product that will last a lifetime, installed by a company that will still be here many years down the road. Any company that offers artificially low pricing is most likely cutting corners in product, design and/or installation. It makes you wonder, will this company be here in the near future to warranty their work and take care of their customers? Alicia added that some companies will cut corners by proposing a solar system that is just too small relative to the overall homeowner’s needs. On paper, that company may look more affordable than the competition, but unfortunately, that’s just a tactic to get the customer to sign a contract. Unfortunately, if a consumer signs a contract before a professional site assessment is completed, the system size and cost can change. Sadly, this information is not always told to the homeowner. 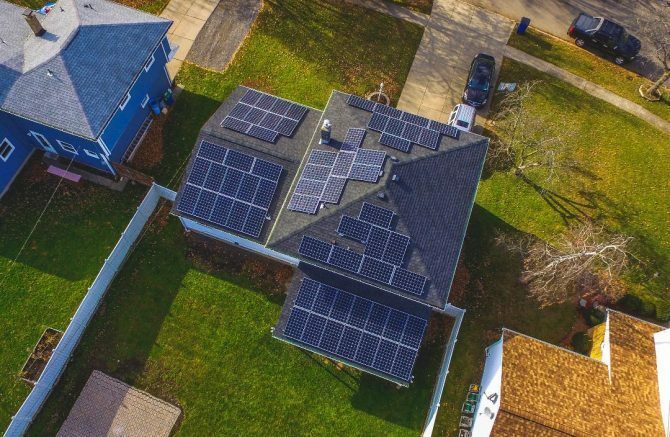 “The reason why Buffalo Solar Solutions does not bring a contract to the home visit is that a site assessment must be done to give the customer 100 percent accuracy on their system size and cost,” Alicia added. “Everything comes down to choosing a company that is transparent and will do what is in the best interest for the customer. Buffalo Solar Solutions is located at 1212 Abbott Road, Suite B, in Buffalo. For more information, please call (716) 800-7775, email info@buffalosolarsolutions.com or visit www.buffalosolarsolutions.com. Five-star rated, locally owned an operated, the company is insured and its employees are OSHA certified. Be the first to comment on "When it comes to solar, you get what you pay for"